SKILLS AND QUALIFICATION - University degree / Professional qualification in Sales & Marketing or Hospitality Management. Excellent communication skills, both written and verbal. Strong interpersonal and problem-solving abilities. 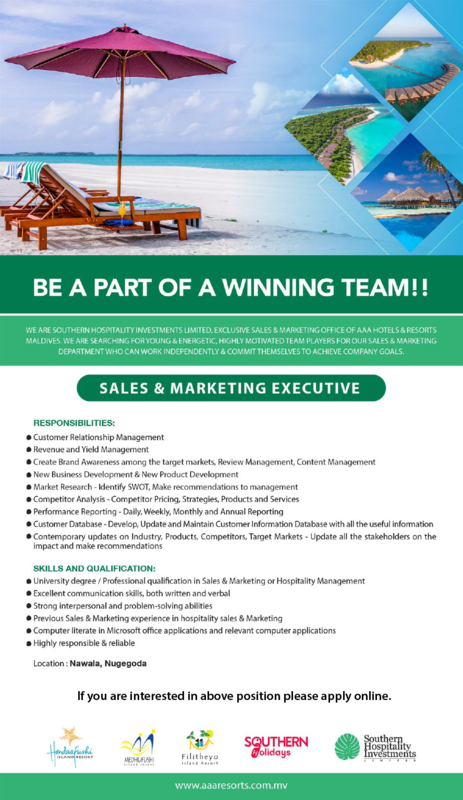 Previous Sales & Marketing experience in hospitality sales & Marketing. Computer literate in Microsoft office applications and relevant computer applications. Highly responsible & reliable.